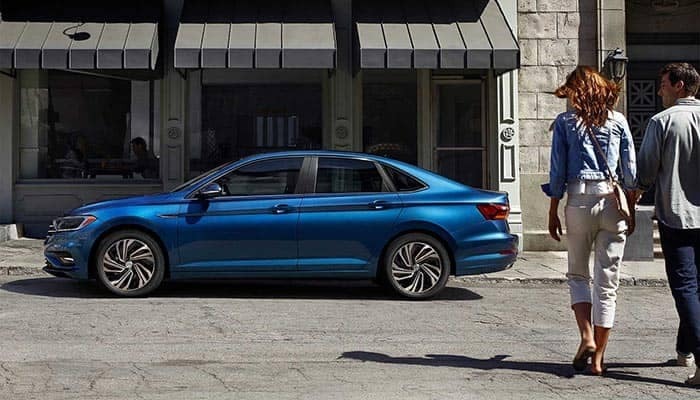 When the all-new 2019 Volkswagen Jetta first hit the road nearly one year ago, initial reviewers were resoundingly positive. Now that the experts have had a year to give the redesigned Jetta a thorough go-over, we thought now would be a good time to see if time has affected their opinions. As it turns out, time has inspired reviewers to score the new Jetta even higher. Bottom line—as time goes by drivers tend to appreciate the 2019 Jetta even more. They attribute this largely to its smooth, comfortable ride, pleasing cabin, solid fuel economy, and outstanding tech features. Ready to experience the latest edition of the VW Jetta for yourself and learn more about its available rims, interior accessories, and how it compares to the Passat? Visit our Tampa Volkswagen dealership today, and test drive your next Jetta. Because you want the ideal vehicle for your needs. We facilitate this by providing the largest selection in the region, allowing you to try different models and trims. You also want expertise. Our team offers the utmost in product knowledge, allowing you to stay informed about the latest VW innovations. What’s more, you want to enjoy your experience. At Reeves Volkswagen, the car shopping process is more fun thanks to our friendly, helpful team. 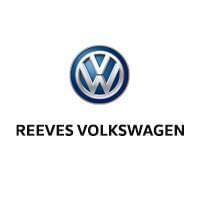 For these and many other reasons, Reeves Volkswagen has a reputation for offering the highest level of customer satisfaction that you’ll get from any Tampa VW dealer. Check out our selection of the 2019 VW Jetta online, or call Reeves Volkswagen at (855) 248-4512 today.